I’m still continuing on finding new recipes that are low-carb that my family will eat and it seems stuffed mushrooms are going to be our go-to meal. 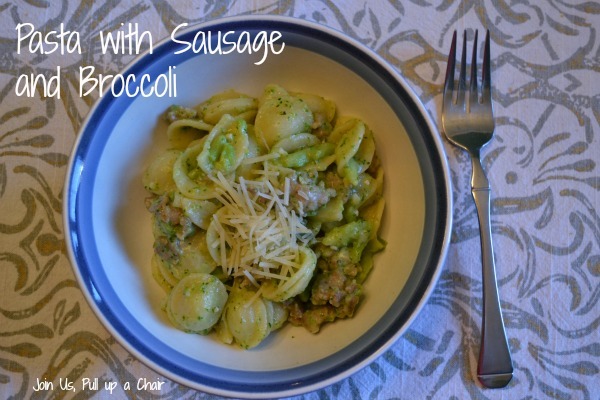 This dinner got two big thumbs up from my kids and it was packed full of flavor. I served it with a side salad – which got some grumbles from my kids. Another thing I love about portobello mushrooms is that they’re meaty and are filling. They are a great substitute for meat too! I hope everyone had a great Easter! I made some new recipes and can’t wait to share them with you later this week. Lately, I’m trying to eat low carb to help kick start some weight loss and get ready to wear a bathsuit in a few short months…ugh. So in addition to eating low carb, I’m counting calories, working out and drinking Keto\\OS. The scale is starting to move, but the best is that I’m feeling so much better and not so sluggish. This recipe reminded me of a recipe my mom used to make when I was a kid. It was similar but of course it contains a pound of pasta. While looking through my stack of magazines I’ve been saving, I saw this recipe for calzones. I knew it was something I wanted to make and I’m so glad I did! It was a HUGE hit with everyone and they were gone in no time…Madeline ate two of them! 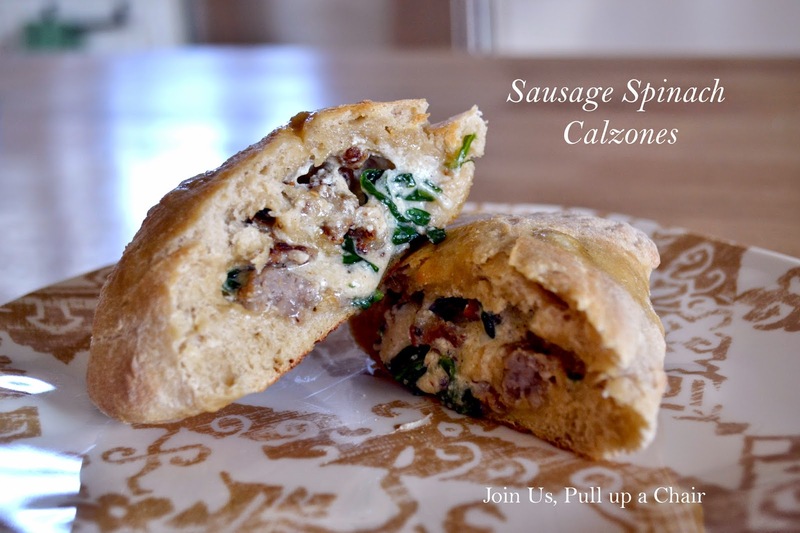 They’re super easy to make on a weeknight especially when you’re using premade pizza dough. I think the next time I make them, I’ll make a double batch and freeze the leftovers so they can be reheated in the oven when we need a quick dinner. Preheat oven to 475 degrees. Spray a large baking sheet with non-stick spray and set aside. Heat 1 tablespoon of olive oil in a large skillet over medium-high heat. Add in the sausage, breaking it into small pieces as it cooks until it is no longer pink. Once the sausage is cooked, add in the baby spinach, stir until it’s wilted and cooked. Remove from the pan and place into a bowl.Stir in both cheeses and seasonings until well combined. On a lightly floured surface, roll the dough into 6 inch long and divide into five equal sized pieces. Roll out each piece into a small circle. Place 1/2 cup of the filling on a half of the dough circle and then fold over the other side. Crimp the edges with a fork and place on the prepared baking sheet. Continue this process until all five calzones have been made. Cut two or three slits into the top of the dough to allow steam to escape and brush the top of each one with the remaining tablespoon of olive oil. Bake the calzones for 15 minutes until the dough turns golden brown. Remove from oven and allow to cool slightly before eating. I’m so ready for summer vegetable season! There’s just something about fresh fruits and vegetables that makes me eat so much healthier. This year we’re only planting a few things in our raised beds since we’re not sure how long we’re going to be in our house. Our house selling is going really slow and we’re getting frustrated with the lack of showings. It’s been a month with only two showings and no visitors during our open house. Hopefully soon, things will pick up! Back to the vegetables, I bought a pack of small zucchini and they were perfect for stuffing. I can’t wait to make more stuffed zucchinis this summer. We all loved them and Madeline enjoyed taking them for lunch the next day. I had some extra stuffing, so I filled a few mushrooms with it and they were just as tasty! Cook orzo according to package. While the orzo is cooking, brown the sausage and mushrooms in a skillet over medium heat. Drain grease and transfer to a large bowl. Add the cooked orzo, tomatoes, oregano, salt, pepper and Parmesan cheese. Stir to combine. Cut the zucchini in half and scoop out seeds. Fill the zucchini with stuffing and place in a baking dish. Once all zucchini are filled, sprinkle mozzarella cheese over the top. 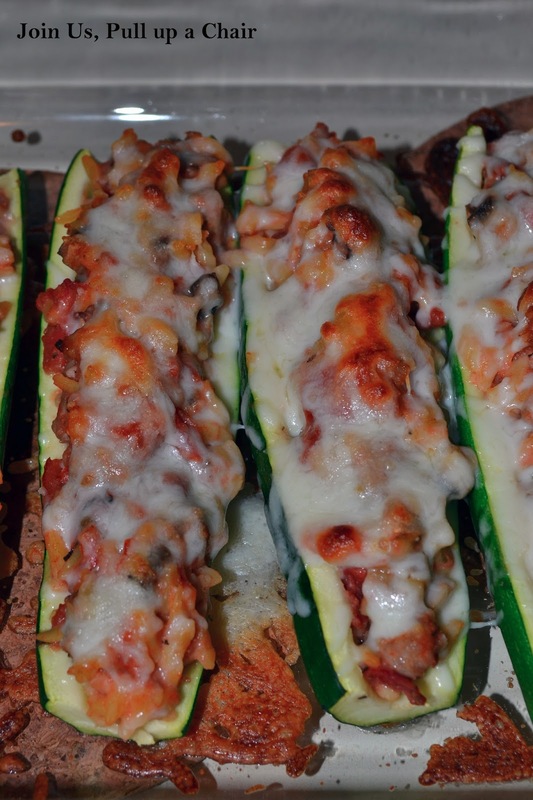 Bake for 20 minutes until the zucchini are cooked slightly and the cheese is melted. We prefer our veggies a little more on the crisp side and it was nice contrast to the stuffing. If you’d like the zucchini cooked more tender, add a small amount of chicken or vegetable stock to help steam the vegetables. I’m guest posting over on The Secret Recipe Club! 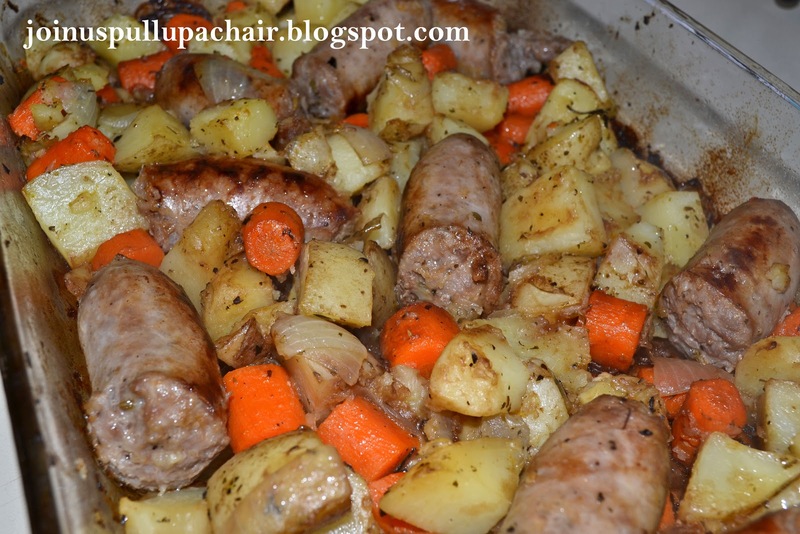 Check out my post about baked sausage with roasted vegetables. It’s a great recipe when you just want a quick and easy meal during the crazy holiday season! 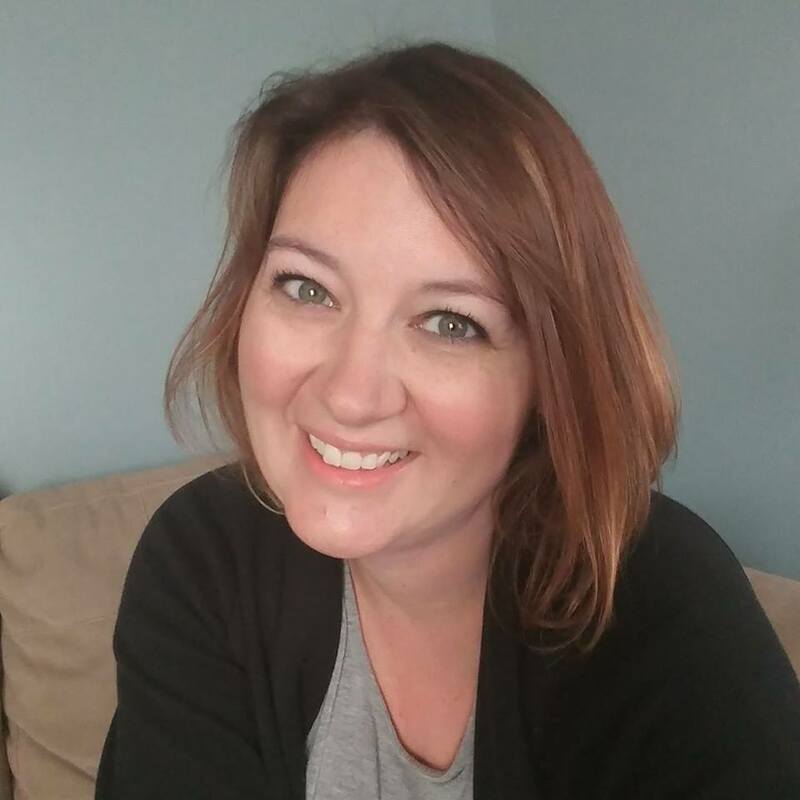 I’m finally finding some time on this Saturday afternoon to do a little blogging. Needless to say, this week has been crazy with work, family life and a few other secretive things I’ve been working on. I’m actually looking forward to tomorrow’s rainy day, I could use it to just relax and lounge around the house in hopes of recharging for another crazy week at work. Now back to the real reason you’ve stopped by…FOOD. I love risotto but unfortunely my husband is not a big fan of it. He describes it as mushy rice, I just don’t think he’s ever had good risotto. This recipe is less time consuming than the traditional way of making risotto on the stovetop – it’s baked! To make it even better, I was lucky to have a coworker give me some vension sausage from his freezer – thanks George! Preheat oven to 325 degress. In a dutch oven or large ovenproof pot with a lid, cook the sausage over medium heat, stirring to break it up. Cook for 6 to 8 minutes until browned. Spoon sausage onto a paper-towel lined plate and drain fat from pot. Return pot to heat and add olive oil. Add onion and mushrooms, season with salt and pepper and cook until onion is soft and mushroom juices evaporated, 8 to 10 minutes. Pour in 1/2 cup of warmed chicken broth, stirring to release any browned bits from the bottom of the pot. Stir in rice and cook for 3 minutes. Add 3 more cups of broth and stir to combine. Bake in the preheated oven for 20 minutes. Stir in parmesan cheese, reserved sausage meat and the remaining chicken stock. Cover and return to the oven. Bake until rice is tender but not mushy, about 30 to 35 minutes. Sprinkle with chopped parsley if desired. 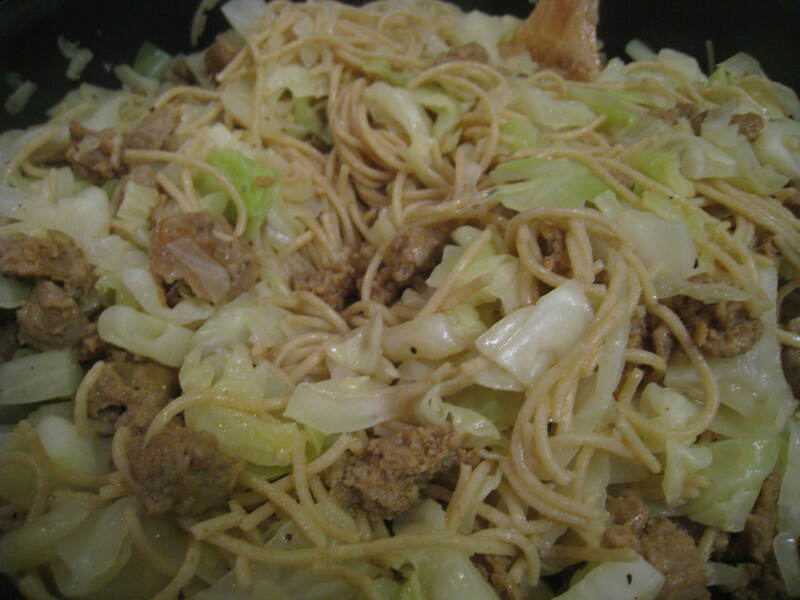 I was a little hesistant to make this for dinner tonight….I mean cabbage and sausage with spaghetti? I will warn you, this recipe makes a lot! My husband and I thought it was really good, but it didn’t go over well with our little one. She picked out all the cabbage. Oh well, I guess it’s ok that she doesn’t like every vegetable. In a large pot of boiling salted water, cook pasta until al dente. Reserve 1 cup pasta water; drain pasta, and return to pot. Set aside. While pasta is cooking, heat oil in a large nonstick skillet over medium-high. Add sausage; cook, breaking up with a wooden spoon, until browned and cooked through, 4 to 6 minutes. With a slotted spoon, transfer sausage to a plate; set aside (reserve skillet with rendered fat). To skillet, add onion, 2 tablespoons water, and as much cabbage as will fit; season with salt and pepper. Cover; cook until tender, tossing occasionally and adding more cabbage as space becomes available, 6 to 10 minutes. We’ve been buried under snow for what seems like forever! It’s been the perfect weather for making soups, chili and stews…oh and lots of baking. 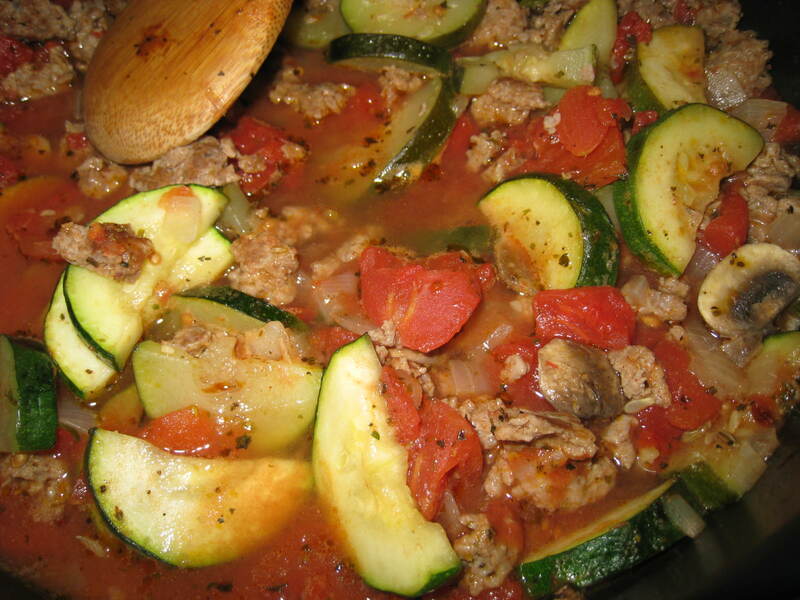 In a large saucepan, cook the sausage, zucchini, mushrooms and onions over medium heat until the meat is no longer pink; drain. Add the tomatoes, water, broth, basil and pepper. Bring to a boil. Reduce heat and simmer uncovered for 15 minutes. Sprinkle with fresh basil and red pepper flakes if desired.